I am the State Fair Coordinator for PDA. 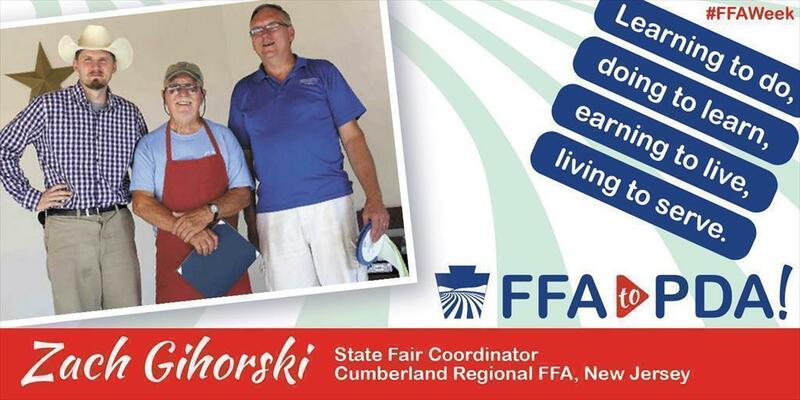 I act as a liaison between the Department and the 109 agricultural and community fairs of Pennsylvania. I work with statewide agricultural organizations, 4-H programs, and FFA programs to help promote agriculture. The friendships. I am still close friends with kids who were FFA members from states all over the United States. My day-to-day responsibilities require a lot of public speaking, agricultural knowledge, and complex problem-solving skills. Each one of those qualities were developed and enhanced while wearing my blue jacket. I have also been a livestock judge for ten years, using skills I learned and strengthened while a member of my FFA Program.